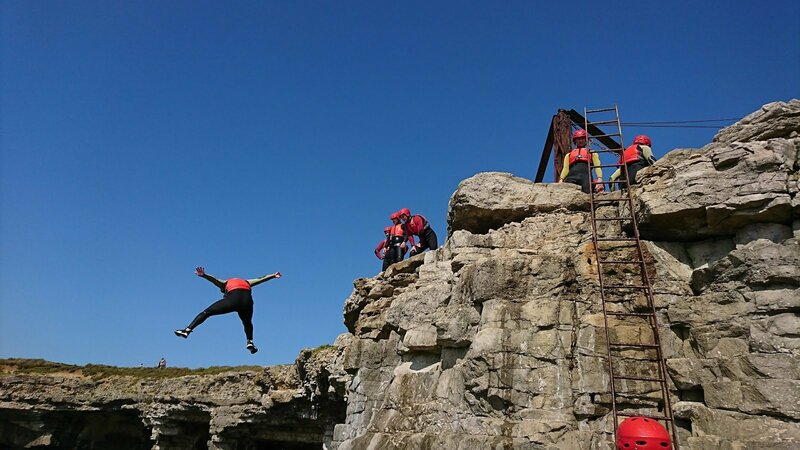 Immerse yourself in the incredible Jurassic Coast at the iconic Portland Bill in Dorset. 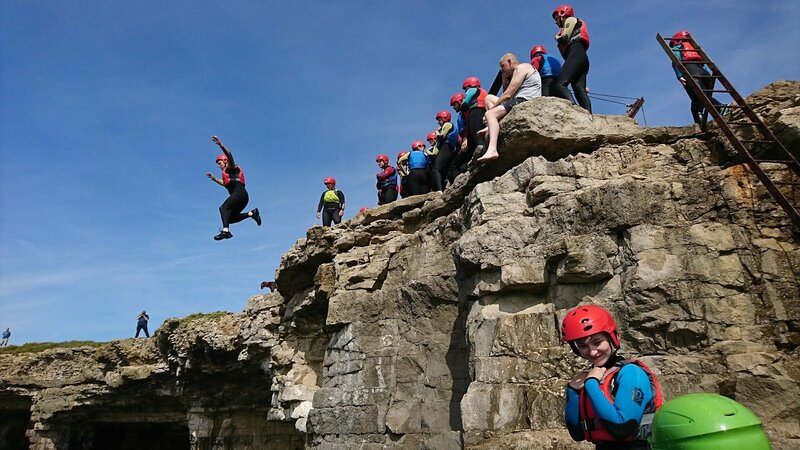 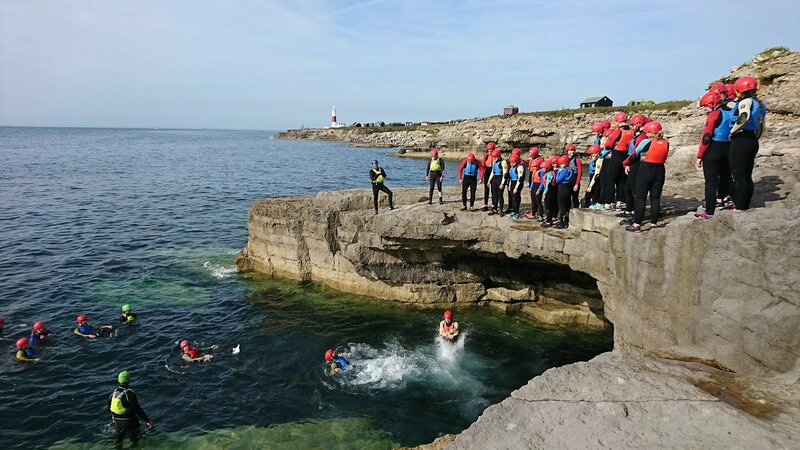 Adventure 4 All regularly lead groups in coasteering sessions that combine climbing, scrambling, swimming and jumping from the amazing rock formations that make up the southern tip of the Isle of Portland. 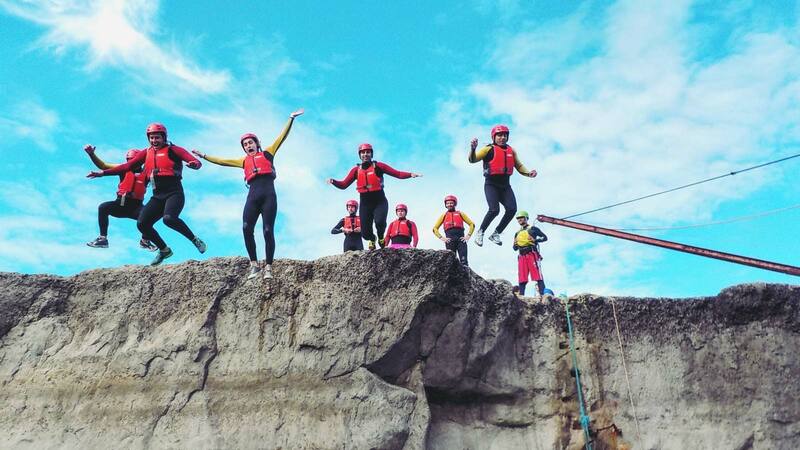 Coasteering allows you to explore Portland’s caves, navigate rocky outcrops and leap from cliff ledges. 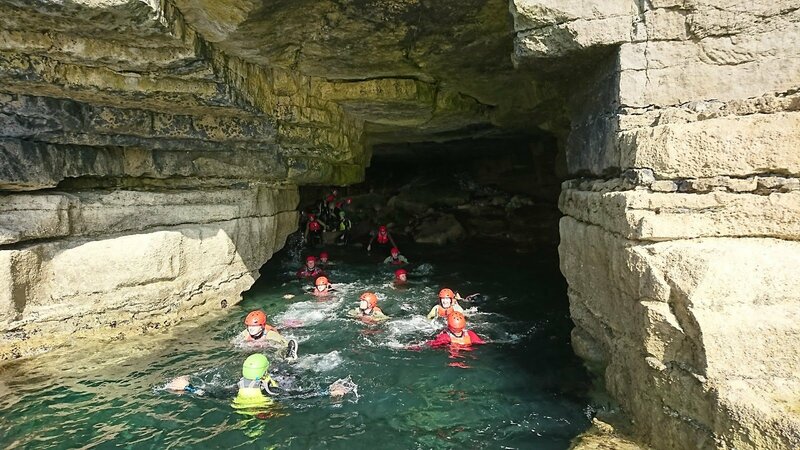 You’ll have an amazing time on this outdoor adventure! 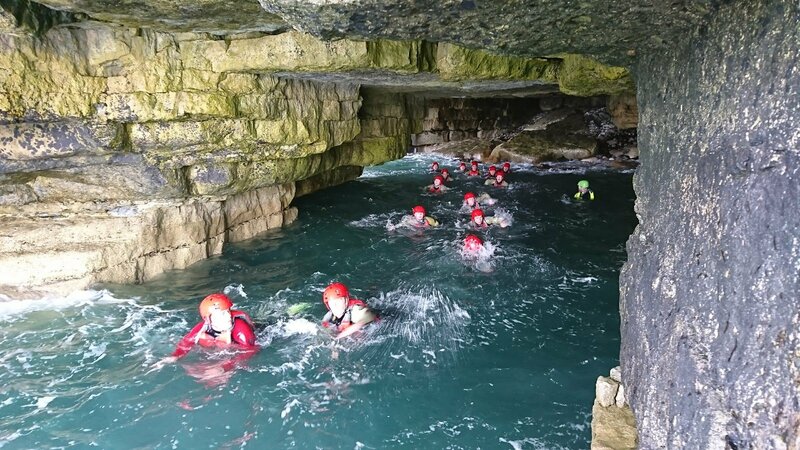 We provide all the necessary safety equipment and dedicated, experienced coasteering guides. 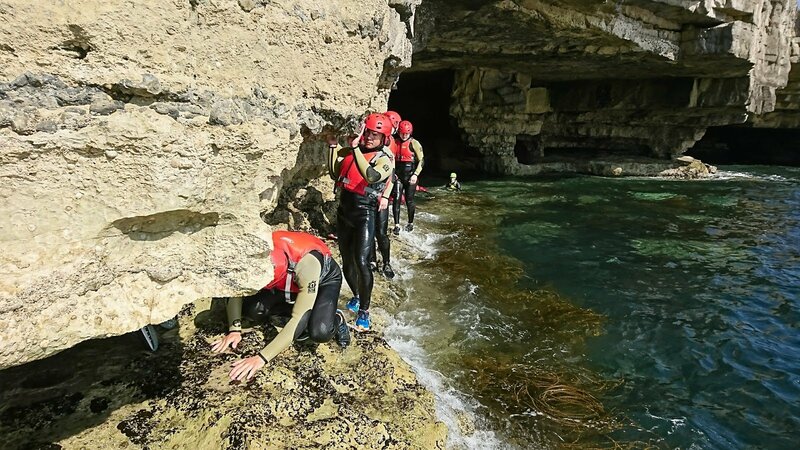 Coasteering sessions are run from Portland Bill just 20 minutes from Weymouth in Southern Dorset and the coasteering routes are some of the best in the country! 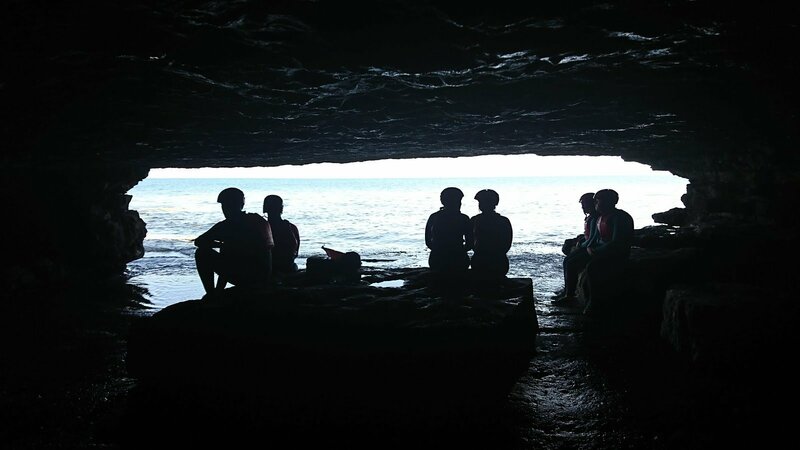 An awesome session in, over and under the water. 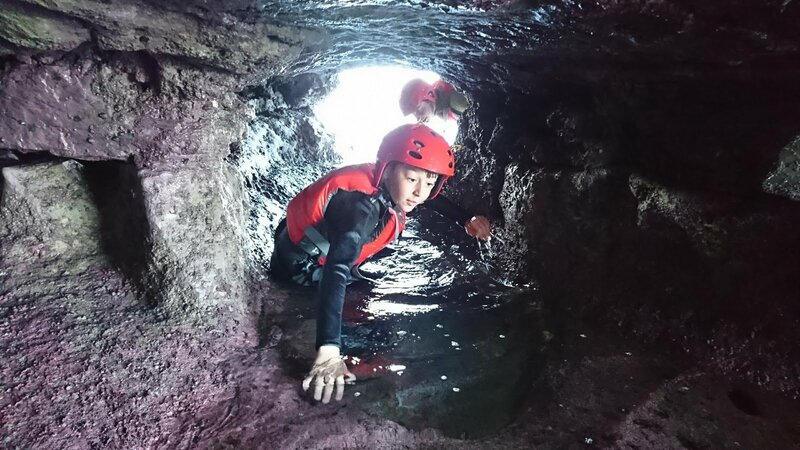 All equipment included.